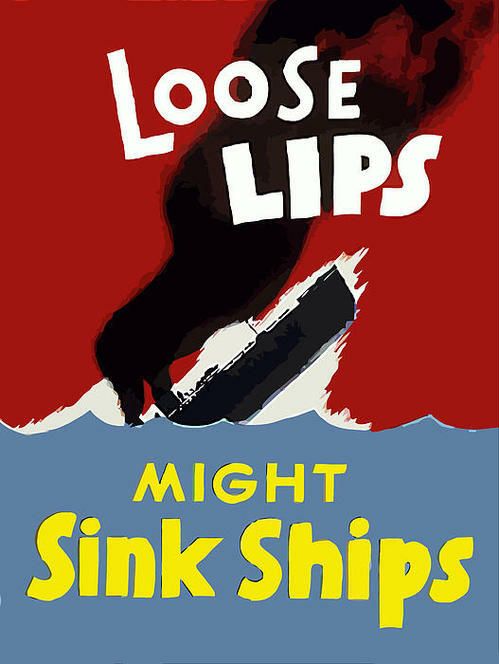 You've surely heard the saying, "loose lips sink ships," but the old saying translates surprisingly well to real estate development. 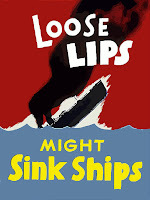 No disrespect meant to those whose lives are actually at stake like they were in the old military addage, but livelihoods are certainly at risk to rumor on a daily basis. Personally, I'm a firm believer in honesty and openness- I've seen secrecy destroy relationships of all kinds, like a tree rotting from the inside out. When I see secrecy for its own sake, or as a cover for other motives, it angers me, and makes me suspicious. That being said, I don't think most people outside the real estate industry realize how damaging "harmless" speculation and rumor sharing can be. Having grown up in a real estate environment, I don't always understand people's fascination with the industry. I'm always surprised to see newspapers, entertainment blogs, web forums, and other news sources reporting a real estate story, that I am certain to be a rumor, or even a falsehood unknown to the publisher, as headline news. Even if it is truth, it is usually damaging to the parties involved. I get that they publish it because people will read it, but I just don't understand why people want to read it. It's hard to talk about the problem in a local context, without causing more harm, so I was pleased when one of the Economic Development officers at our local chamber shared this article: Rumors Close Hoss's, Restaurant said too many workers quit. Employees had been hearing for about a month that MedExpress was planning to purchase the Hoss's building and place a clinic there, said Jim Sebek, general manager at Hoss's. The workers started to seek new jobs and quit Hoss's restaurant, he added. Can you imagine the feeling of the owners, long-time, loyal employees, and families affected? They literally lost their livelihoods at the hand of real estate rumors in their community. Callously, a person could say, "So what? The owners will still get their money, that's all they care about anyway." In truth, my experience is often the exact opposite, the owners likely wanted/needed to sell, but weren't in some kind of golden parachute or lucky payday scenario. I don't know these owners at all, but in most similar cases, a family will pour everything into a business for decades, and then find that the best retirement scenario is to sell, and, usually, let go of whatever they have created in the process. Sebek confirmed MedExpress is seeking to purchase the property but said no final sale has been approved. If you think that this is an isolated case, all I can tell you is that I know of dozens of similar occurrences in the very short time I have been around the industry. So, if you ask someone who works in commercial real estate a question that we don't answer, please don't be offended if you don't get the answer, or enthusiasm, you want. I promise, the day any real estate deal closes, everyone involved will be excited to share with anyone who will listen.